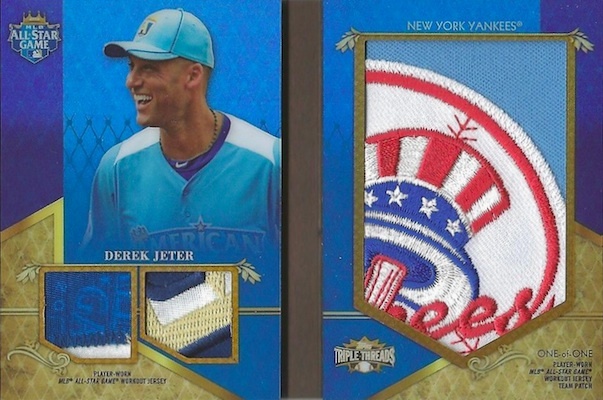 While 2012-13 Flawless Basketball has gotten many of the recent hobby headlines, 2013 Topps Triple Threads Baseball is also out, and it is packed with collecting goodness. The design has seemingly stayed the same for years, but collectors remain interested because of the quantity and quality of relics that are found. With four relic cards per box, including two autographed options, this high-end release is a hobby mainstay for a reason. 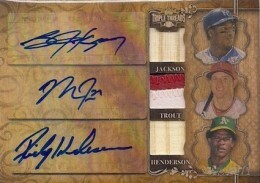 Shop for 2013 Topps Triple Threads baseball cards on eBay. 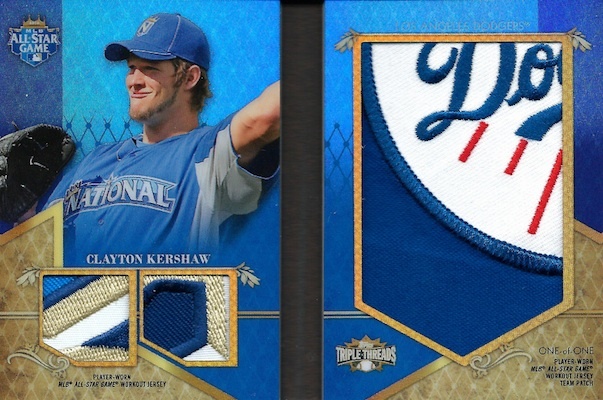 Outside of the base cards, every card features some kind of baseball relic. 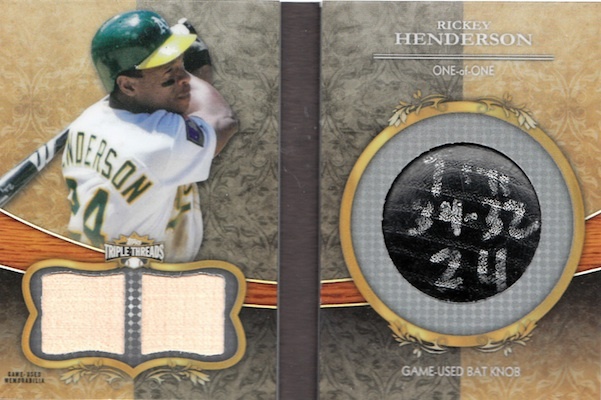 Also, while several sets feature multiple card versions for each player, each relic card is numbered to 99 or less, and the majority of the checklist is numbered to 36 or less. Plenty of phenomenal cards have already been pulled in the first week of release. We highlight a few of the top cards below. Also, click the "Most Watched" tab above for a real-time look at the most-watched 2013 Triple Threads Baseball cards on eBay. 2013 Topps Triple Threads Emerald Relics Miguel Cabrera Card BGS 9.5. 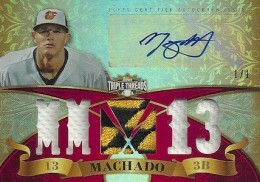 The list below provides a real-time look at the 30 most-watched 2013 Triple Threads Baseball cards currently available on eBay. 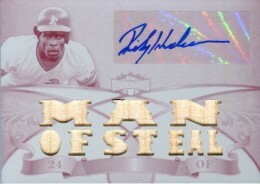 The list is constantly updating to give collectors the most accurate picture of the most popular cards on eBay.